How to Do a Basement Conversion? If your home has an existing, disused basement, converting it is a great way of creating usable space and easing the demands on other parts of your home, it also makes it much more attractive to a purchaser if you choose to sell. However, there is important work that goes into a basement conversion, including and especially the Basement Damp Proofing to ensure your new rooms will be free of damp for many years to come. 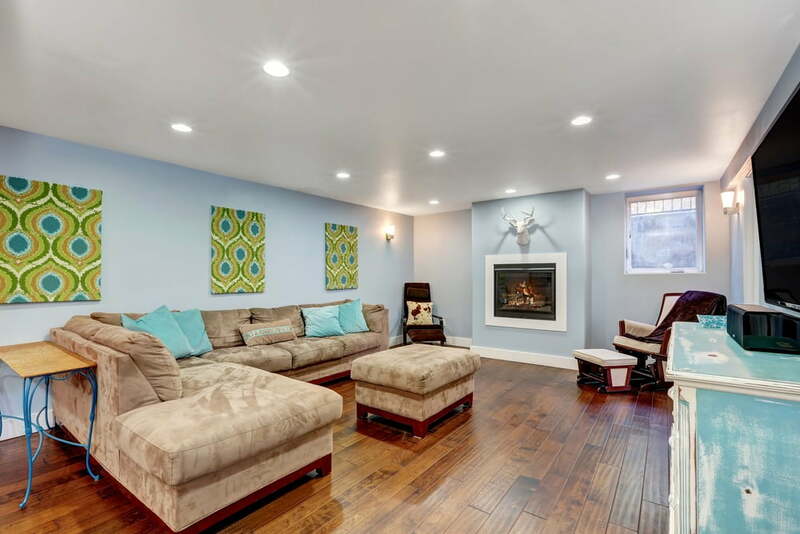 Here are some of the things that are essential when converting an existing basement. For homes with an existing basement, cellar or vault, this is a great way to add extra living space to your home, no matter how small it is. It could be a home office, extra bedroom, a playroom,, bathroom or even a utility room. 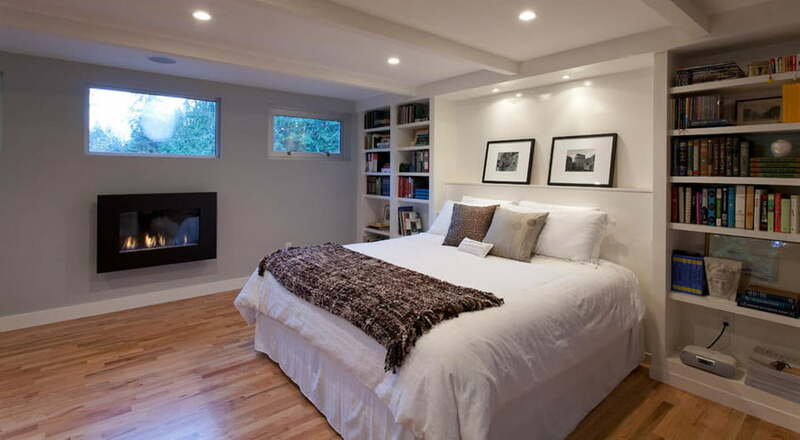 Apart from being a more economical project to do than a loft conversion, you won’t need planning permission, and when finished, it will be far easier controlling the climate. The first and the third option involve a lot more work than the second because major excavation and structural work are involved. As a large percentage of London and Home County properties already have a basement, we are going to focus mainly on the second option, damp proofing a basement or underground space you already have, converting it into your favourite room.. There are a few things to consider before you commit to converting below ground spaces, first of all, is the area suitable? The answer in nearly all cases is a resounding yes, because with property prices at a premium, any usable space is valuable space, even if it is for a small utility room. What will you new room be used for? The first question to consider what you will use the new room for. There are a lot of options – such as extra living rooms, a games room for the children, a home office or a home entertainment room. You could also use it for a dry storage room or utility room, freeing up space in the rooms above. You can even create a new self-contained entrance and use it as a separate dwelling, but this is likely to require planning permission. If like most people you are considering the financial issues involved, converting the basement, our experience tells us that in most cases, it proves to be financially viable and a good investment. With more and more people working from home it is everyone ’s dream to have a quiet office away from the hustle and bustle of the everyday living above and as we know, working from home can save a lot of money. Once you have decided what you want to use your new rooms for, then you need to look into whether you need planning permission or not. 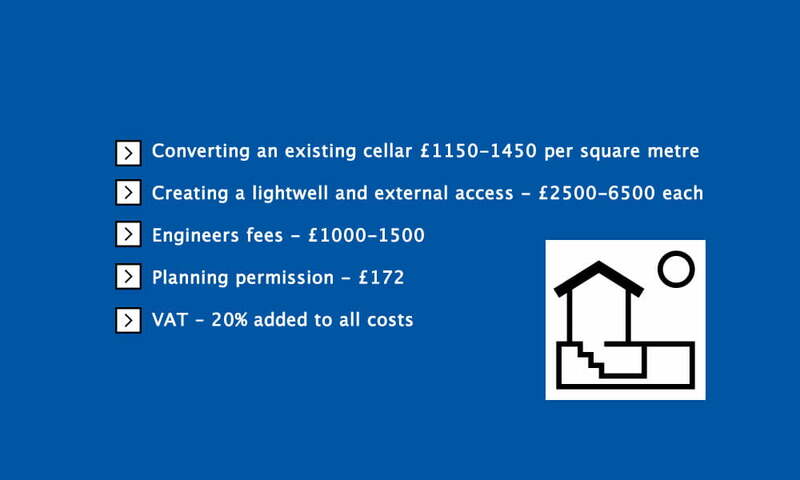 Converting an existing basement, cellar or vault doesn’t usually require any planning permission (check here) and falls under Permitted Development, unless of course, the house is a listed building. If you need to reduce the level of the floor of the basement to improve the height, this may involve supporting the foundations of the property, in which case you will require the services of a structural engineer and building regulations. Some work can be done under Permitted Development, so it is worth approaching your planning department at your local council to get some idea of what may be needed. The good thing is that if you do need planning permission, there are far fewer reasonable grounds for refusal than for other types of extension or conversion – because the work is happening underground, so it doesn’t involve changing the appearance of the property in any way. Building regulations (see here) are very different from planning permission and apply to methods of good building practice, whether you need planning permission or not. These are the statutory minimum constructions standards that are aimed at ensuring the house is safe, hygienic and energy efficient. However, under building regulations, the renovation of an existing habitable basement, providing there is no structural work, is excluded from this process. If you are instructing an architect, he or she will possibly submit an application for your work, so you can get all the work confirmed before you start. If any of the walls of the basement fall under the Party Wall Act 1996, you will need to get permission from the adjoining owner. This will be relevant if your basement connects to another one and there is a wall between the two. However, if there isn’t any structural work, it is unlikely that this will apply. Armed with expert advice and the correct permissions, you are ready to start the work. A simple conversion can take just a few weeks, using a Cavity Drain Membrane system to ensure you have no problems with damp in the future. This work will need to be expertly dealt with by a specialist company before any of the building work takes place. The cost of the tanking and installing Cavity Drain Membranes, as well as installing any services and insulation will also need to be factored into your cost. Many homeowners have reported around 20% increase in the value of the property after carrying out a basement conversion, so this can help you work out if it is a cost-effective move, if you decide to sell the house. Whatever your long-term plans are, you will have new favourite rooms to enjoy for many years to come.